Sites We Like < You Could Help Inspire the Next Great Fancy Feast® Elegant Medleys® Cat Food Recipe and Help Homeless Pets! You Could Help Inspire the Next Great Fancy Feast® Elegant Medleys® Cat Food Recipe and Help Homeless Pets! Our friends at Fancy Feast® Gourmet Cat Food have always been inspired by the relationship between you and your cat. 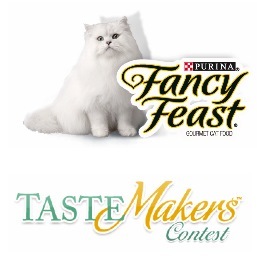 Now you can enter the TasteMakers™ Contest and help inspire the next Fancy Feast® Elegant Medleys® entrée. Enter and you Tastemakers could win $10,000! Plus, after the five finalists are chosen, you can vote for your favorite entry, and Adopt-a-Pet.com will receive $1 for each vote…up to $25,000! (Limit one person or email address per day.) To enter and for official rules, go to FancyFeast.com/tastemakers. Thank you to our friends at Purina and its Fancy Feast® brand for supporting Adopt-a-Pet.com!